February, 1946. Seventy years ago this month. 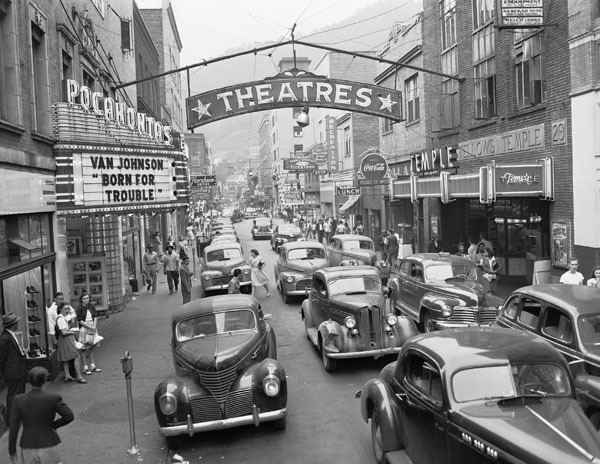 Post-war life settles into a steadier rhythm. Couple marry and forge a new life. Newborn babies greet the world. Veterans have returned, and America marches–scars and all–into a peaceful future. But what about the WASP? How did each of them adjust? Newsletters by and for WASP, archived by Texas Woman’s University, give us a glimpse. See the full newsletter here. Pages are filled with snippets of highlights that hit the major points. Ann had a baby boy, Julia and her husband have settled in Chicago. An impressive number kept flying with aviation-related careers–flight instructors, work at aviation companies. One WASP did double-duty as a WAVE. But each page of the newsletter is soaked in longing for the skies. The WASP missed their adventures, if this publication is any indication. One WASP had trouble letting go. “All you do is live in the past,” her admiring but concerned younger brother said. Her solution after that wake-up call? In a nutshell: keep busy, keep flying, and keep remembering to be grateful for the experiences she was fortunate to have. Sounds like a good way to adjust to today’s life, too…keep busy, keep up our talents, and remember to be grateful. 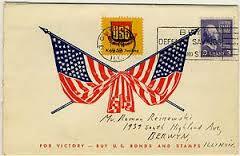 Veterans’ Day. As Americans we celebrate their sacrifices and service every November. For the WASP (Women Airforce Service Pilots) of World War II, our annual celebrations didn’t include them until 1977. Over 30 years after their service, these women finally received the nod of acknowledgment from the U.S. government. They’ll tell you–the ones who still live today–that they didn’t do it for the recognition. But it’s right, just the same. And in 2010, the WASP added Congressional Medal recipients to their status as veterans. They never imagined it possible. But it’s fitting, just the same. These honors skipped decades. …But like stones skipped on a pond’s glassy surface and their ripples, the effects of the women who earned them are felt far beyond their lifetimes. It’s the tail end of the Fourth of July holiday weekend, so let’s talk Christmas movies! Just kidding…a tiny bit, at least. This last weekend does remind me of one of my favorite Christmas movies, Holiday Inn, which I talked about in this post. But Holiday Inn covers all holidays, not just Christmas. For Independence Day, Fred Astaire delivers one of his most entertaining performances. I’ll let you see for yourself in the clip from TCM’s site. Think real firecrackers and jumping feet. My inner pyro gets excited each time I see it. Keep in mind as you watch that the number took three full days and 80+ takes to get perfect. That helps explain his reaction at the end. I thought it would be fun to make you, dear readers, the focus of this month’s Time Travel (history) post. 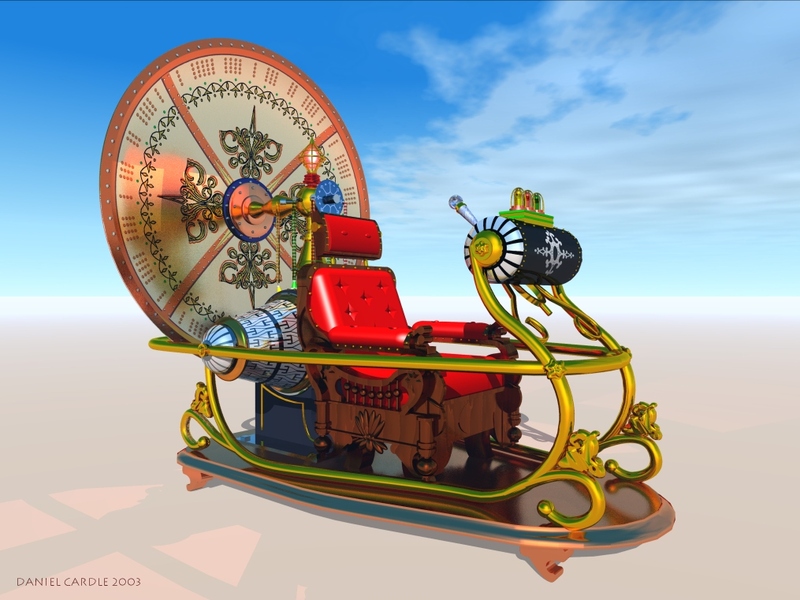 Ready to hop in the time machine? Not that you’re old enough to be historical, mind you. Ahem. Where were you in June 2005? And June 1995, 1985, 1975, and so on? I’ll let one of you get the ball rolling in the comments, then I’ll add my answers. 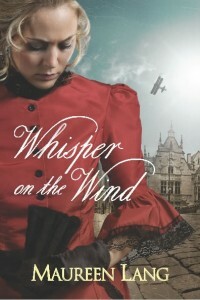 This month we’ll whisk away to World War I in Belgium, 1916, in Maureen Lang’s Whisper on the Wind. What it’s about: Isa and Edward have known each other forever. Now the terrifying German army occupying their homeland makes this war feel like it’ll go on forever. Can they operate their underground resistance newspaper and survive? Will it bring them together or will the war tear them apart? What I’ve liked: Whisper on the Wind sticks with the reader long after “The End.” I read this, oh, maybe two years ago. Even now I see the streets of their Belgian city and feel the desperate tension from the deadly enemy’s occupation and all-seeing eyes. Lang combines vivid detail and action with the emotion of well-developed characters. This is one of those stories that makes you feel like you have an idea of what it was like to live during this terrible time. It also illustrates inspiring bravery and heroism borne from necessity. I’m not crazy about: Maureen Lang can’t help this, but I didn’t like that real people had to endure such conditions during this war. It’s sobering, but we can’t ignore what happened. The bottom line: I’m so glad I picked up Whisper on the Wind. Lang wove a rich tapestry of story featuring characters who mirrored real-life homeland heroes. What about you? Do stories based on real events, like this book, draw you or make you shy away?